I headed to Oregon for my Cousins wedding on the Oregon Coast but could not pass up the chance to hit up Portland for the very first time as a beer pilgrimage of sorts. 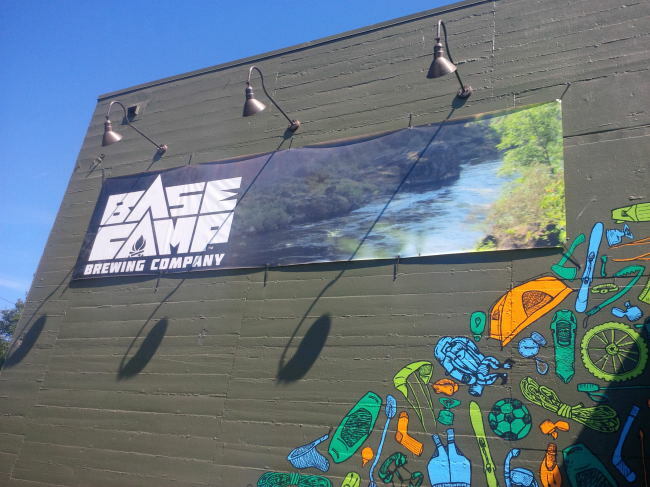 One of the places that I hit up was Base Camp Brewing. I have been following Base Camp Brewing on twitter for some time and been very interested not only in their beer but in their overall style! My first choice would always be to be hiking in the mountains and it seems that is their first choice also (don’t worry beer is a very close second lol). The building is a fairly nondescript warehouse in a fairly nondescript warehouse district in Portland. Do not let this fool you as this is no boring brewery. 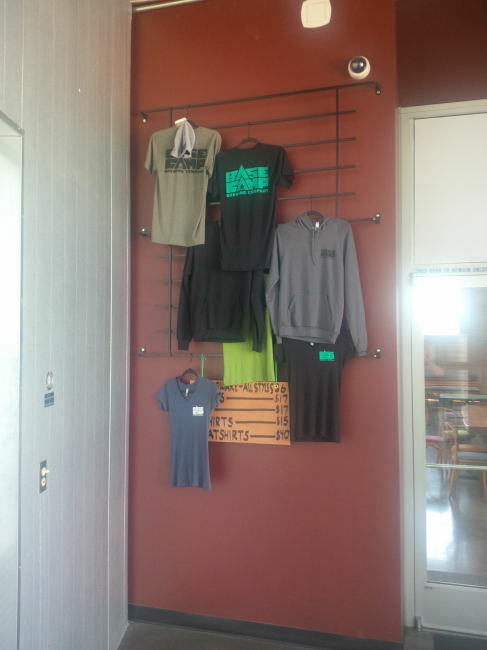 Start out by walking in the front doors and heading right into the tasting room. Here you can sample a bunch of their beer as well as have some food that is prepared right outside in some permanent food carts located on site. At this point only tow of their beer are available in bottles their Pilsner and their IPL but they are working on changing this. I really like how their bottles are made of aluminum not glass as you can easily take this bottles out in the bush backpacking overnight and not worry about glass breakage! Make sure to try their S’more Stout as they actually roast a marshmallow and put it on the rim of the glass! Once through with tasting all their beer head back towards the front door but don’t leave but keep walking straight into the brewery! If they are not super busy they are happy to show you around the brewery and explain how everything works. They even recently installed a whirlpool to their brewing system witch seems to be a popular thing these days. I just hope somehow Base Camp Brewing beers make their way into British Columbia Beer Stores (Not so subtle hint!!!). 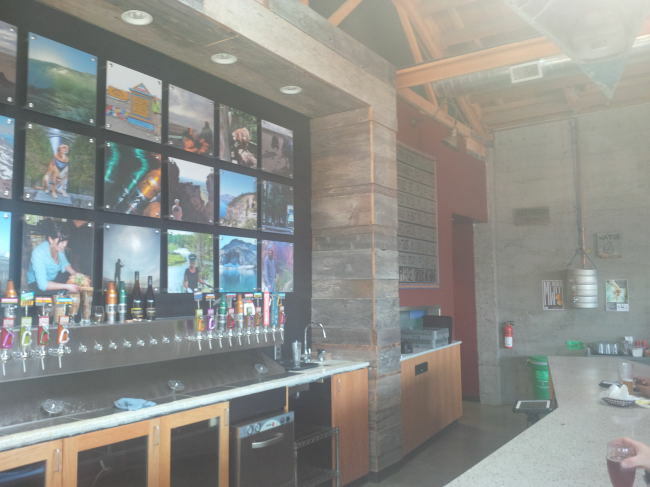 Make sure to check out this brewery next time you are in Portland! You will not be disappointed. before you leave make sure to pick up some swag! Sunday-Wednesday noon to 9pm, Thursday-Saturday 11am to midnight! 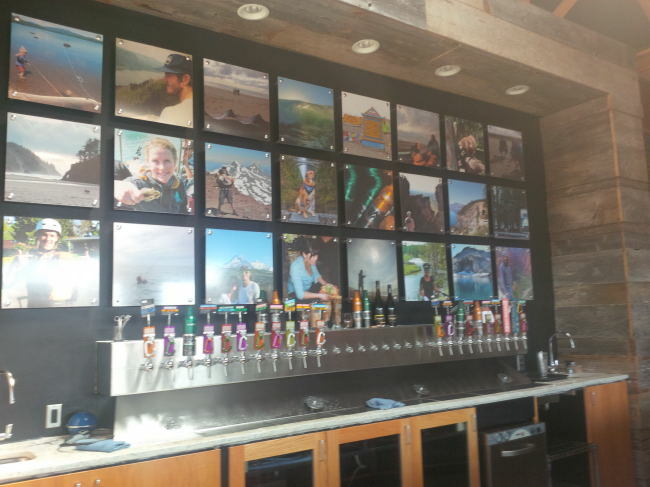 This entry was posted in Brewery and tagged ale, base camp, base camp brewing, beer, brewery, lager, oregon, portland, tasting room. You should have let me know you were in town! I’d have met you for a beer. Summer colds are the worst. I had a nice one a month ago, during Oregon Brewers Festival. Well played, virus, well played.